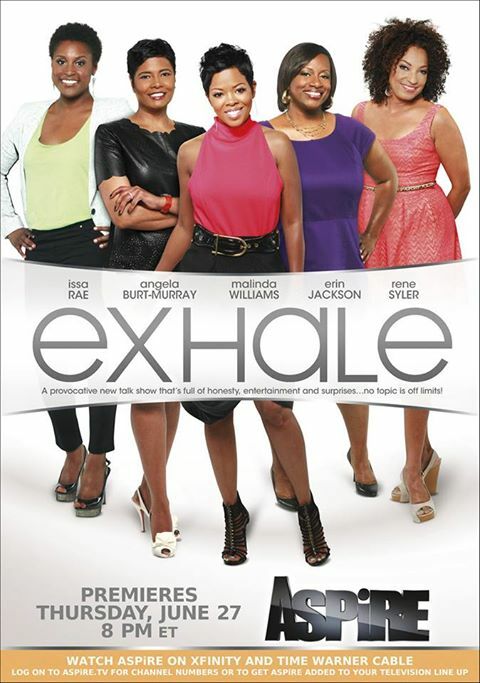 Today, I am excited about Exhale, a provocative new talk series about African American women on ASPiRE TV that features five of my favorite creative women: Angela Burt-Murray, Comedian Erin Jackson, Issa Rae, Malinda Williams, and Rene Syler. Thank goodness these ladies have been blessed with the gift of gab. Their candid discussions will offer intergenerational commentary on a wide range of topics including family, relationships, money, faith and everything that African American women are talking about. I know the show will influence, inform, and inspire me and my sistalove friends! That’s one of the reasons I am so excited about it!!!! So watch it tonight at 8:00 p.m. I AM EXCITED ABOUT EXHALE BECAUSE….. I AM EXCITED because I am hungry … no starving is a better word. I am starving for positive television programming that features women who look like me and share my interests and concerns. I AM EXCITED about hearing from Angela Burt-Murray, founder of CocoaFab TV and former Essence editor-in-chief. I miss Angela’s voice. When she was at Essence, I enjoyed reading her letter to the reader each month. 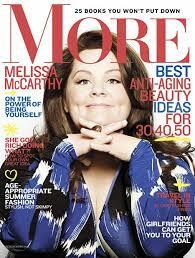 Her interviews and articles always informed and inspired me. I need Angela to inform and inspire me each week! I AM EXCITED about Malinda Williams because she stole my heart when she played the character Bird on the wildly successful Soul Food television series on Showtime years ago. I also adore her down-to-earth personality, passion, and style! I need Malinda to remind me to stay grounded and focused on my passion as I live life with style! I AM EXCITED about Rene Syler because she speaks her mind and writes with a soulful honesty that makes me say “AMEN.” The first time I learned about Rene was at the Blogalicious Weekend Conference in 2011. She was a luncheon keynote speaker who shared so passionately from her life. 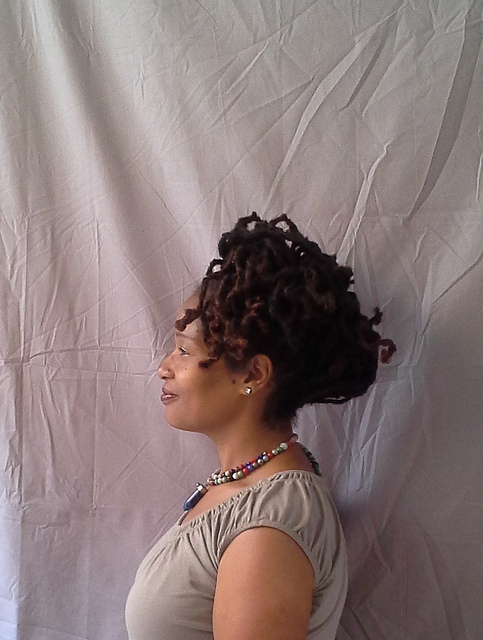 I left Blogalicious as a Rene Syler fan. I need to witness Rene’s passionate honesty and humor each week! I AM EXCITED about Issa Rae because she is incredibly gifted as a digital entrepreneur, writer, director, producer, and actress. I fell madly in love with Issa’s webisode series The Misadventures of Awkward Black Girl a few years ago. Since then, I have followed her online and watched all of the programs she has created and produced. Last year, I met and heard her speak at the Minority Media & Telecom Council’s 10th Annual Access to Capital and Telecommunications Policy Conference. I need to receive a weekly dose of Issa’s creative energy dipped in authentic and awkward humor. I AM EXCITED about Erin Jackson because she is dangerously funny. I discovered her humor and wit when ASPiRE TV starting promoting Exhale several months ago. She reminds me to laugh and not take myself so seriously. I love her crazy sense of humor. I need to catch Erin’s laughter train on a weekly basis! My excitement is so great that I want to see these ladies succeed beyond their wildest imaginations. So I am using my blog and social media platforms to encourage others to watch and support the show. 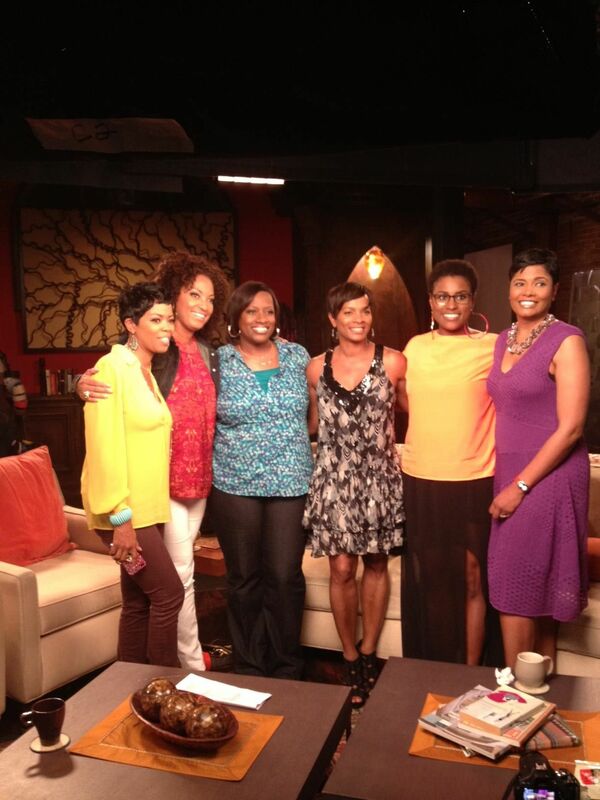 With that said, please take some time to give these five Exhale ladies some social love! Encourage your social network of family, friends, and fans to do the same. Be sure to follow them on Twitter. https://twitter.com/ExhaleTV. Guess what I did last weekend? 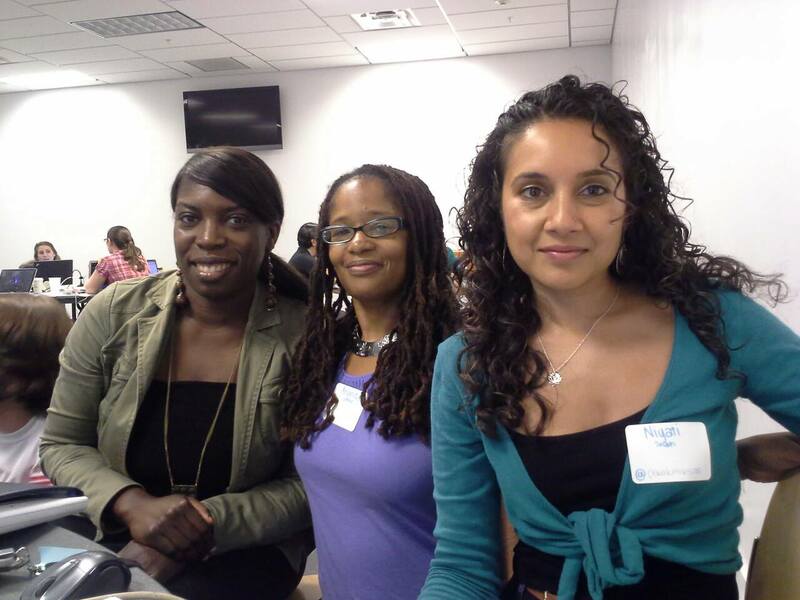 I participated in the Digital Sisterhood Unplugged Weekend (#DSUnplugged). 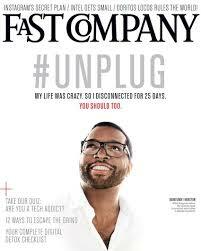 I really had a great time unplugging. I was able to chill out, relax, practice yoga, run, sleep in, read some of my favorite magazines like More and Fast Company, attend a fantastic gallery opening (will talk about on my Creativity Thursday blog), complete some of the edits for my Digital Sisterhood book, write my “Unplug” Manifesto as a Flowista (a woman who unplugs from her to-do list and digital life sand practices self-care on a regular basis) with a collage illustration, and reflect on the women in social who have become my virtual mentors. That’s a lot, right? While reading the July issue of More, I discovered an article in the Second Acts section that featured a profile about two of my virtual mentors, Stefania Pomponi and Cat Lincoln, co-founders of the Clever Girls Collective, a social media agency. The More article discussed how Stefania and Cat came together as friends to create the Clever Girls Collective and took a road trip to the BlogHer 2009 conference in Chicago, Illinois. 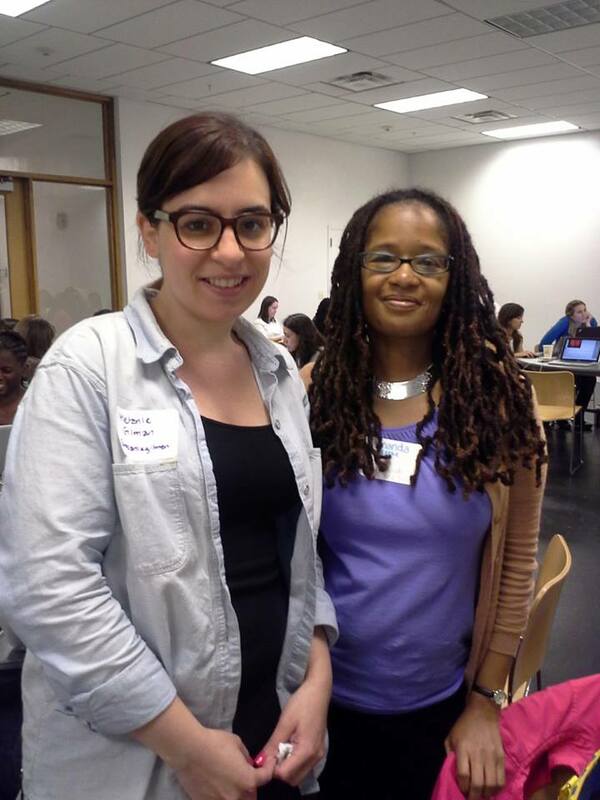 I first discovered Stefania at the BlogHer conference and later learned about Cat and the Clever Girls Collective. They impressed the you know what out of me! I loved their community building efforts, commitment to empowering women bloggers, energy, and business savvy. 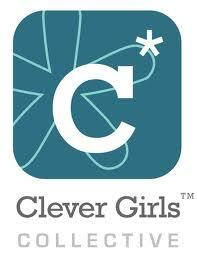 I started following them online and watching them make moves to build their Clever Girls empire and thriving community of bloggers. I also made sure to hear them speak at the various social media conferences I have attended over the years. They lead and teach by example. 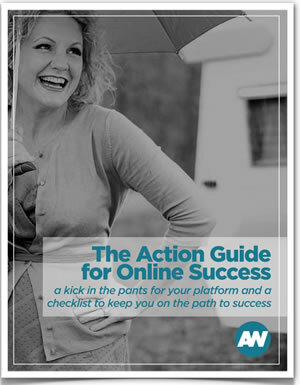 They share insights and lessons learned in their online activities. When they speak in public at conferences, they drop “serious knowledge.” That’s why they are two of my virtual mentors. PS: Virtual mentors are women and men in the digital space who have influenced, informed, and inspired me through their blog, books/e-books, businesses, creative expression, community building efforts, e-books, lessons learned, social good activities, social media engagement, TEDx Talks, thought leadership, videos, webisodes, webinars, and web sites. Many of my virtual mentors are people I have never met online or face-to-face. They may not even be aware of how much they have influenced me. Some are folks I have connected with online and had conversations with via social media. There are others who I have met in person. And then there are a few I have come to know as friends in real life (IRL). All of them add great value to my life! 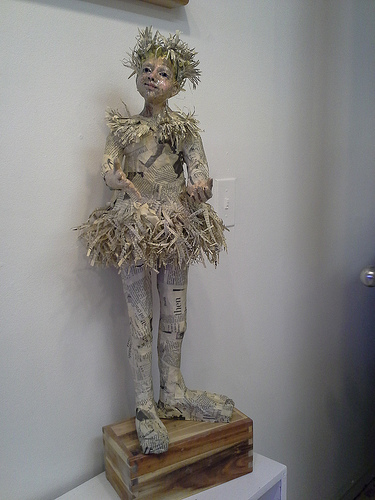 Today, I am celebrating the work of mixed media artist and sculptor Lisa Schumaier, an Alexandria, Virginia native. I met Lisa two weeks ago while visiting her studio at the Torpedo Factory in Alexandria, Virginia. She is a down-to-earth woman with a deep passion. She was happy to explain her art-making process and shared several stories about her artwork. 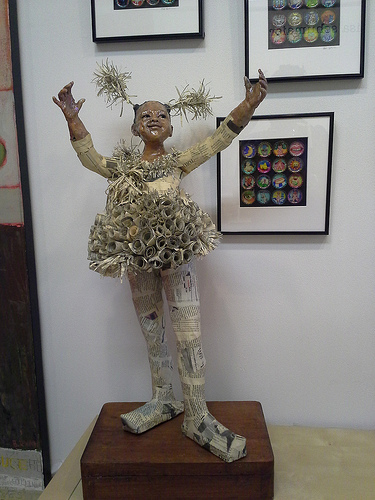 I was immediately drawn to her mixed media collage sculptures of women dancers. 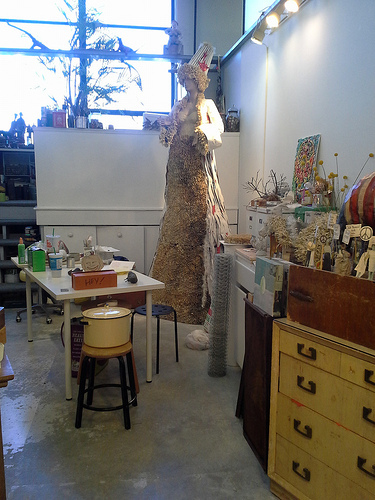 I marveled at how she was able to blend her ceramic work with found objects and recycled materials. 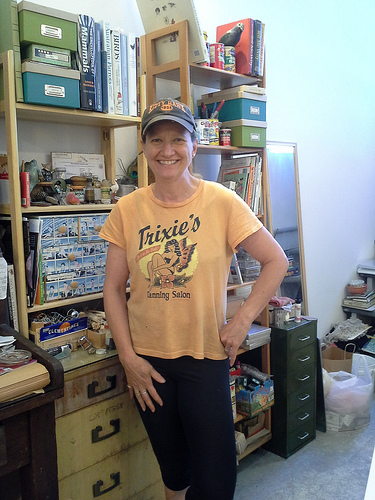 Click here to watch a video of Lisa talking about her passion for art and the Torpedo Factory. For more information about her work, visit www.keenthings.com. 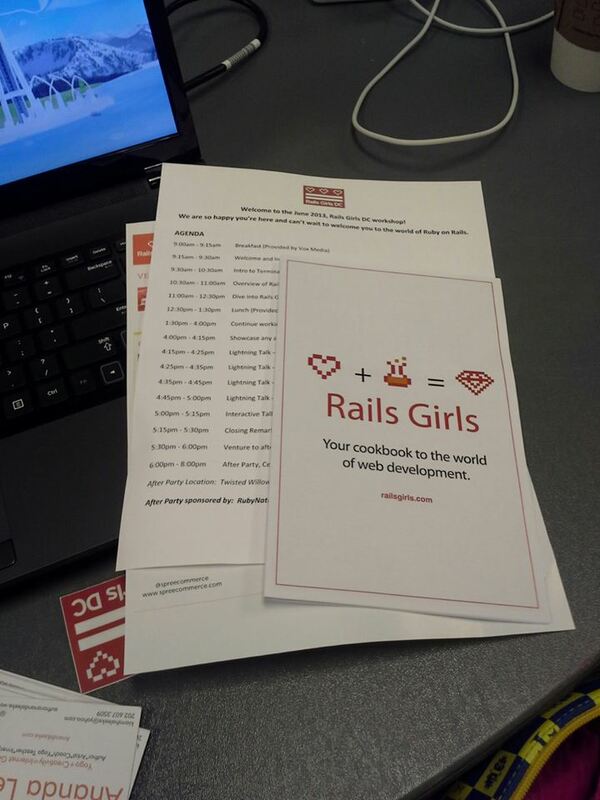 Last week, I realized one of my 2013 goals: start the process of learning how to code with RailsGirls DC. 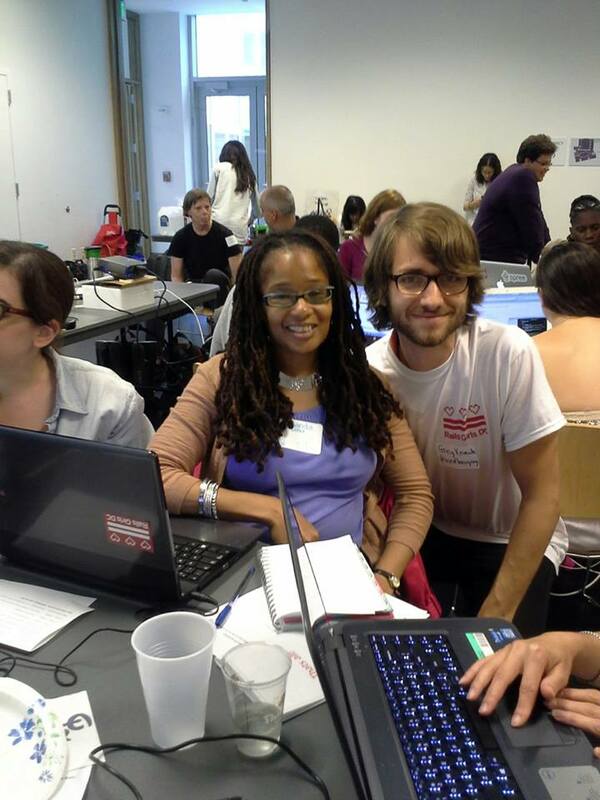 Learning how to code has been on my life’s bucket list since 2011 when I learned about Kimberly Bryant’s Black Girl Code organization and Women Innovate Mobile, read an article about Girl Develop It’s first ladies-only hackathon in Fast Company, and attended web pioneer Aliza Sherman’s session on mobile marketing at the Blogalicious Weekend Conference. 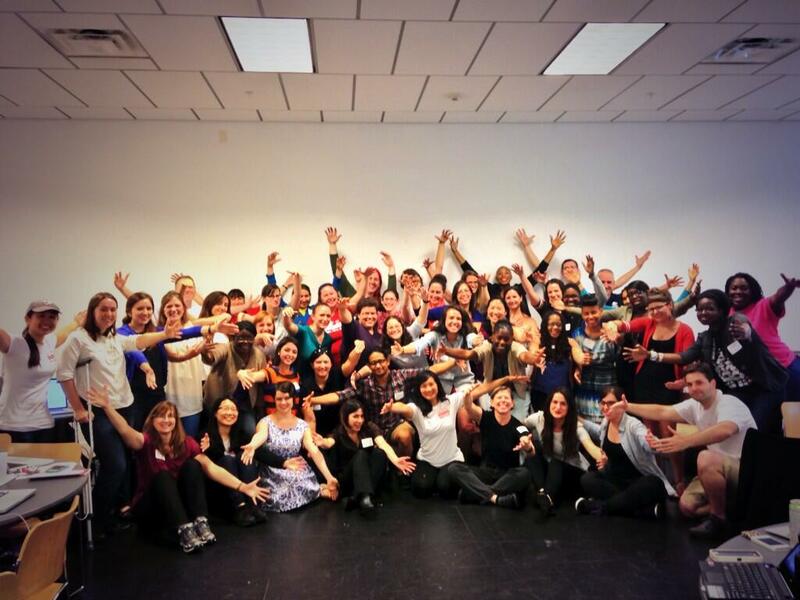 As a result, I signed up for Code Academy’s free online coding classes in 2012. Unfortunately, I did not take advantage of the classes. 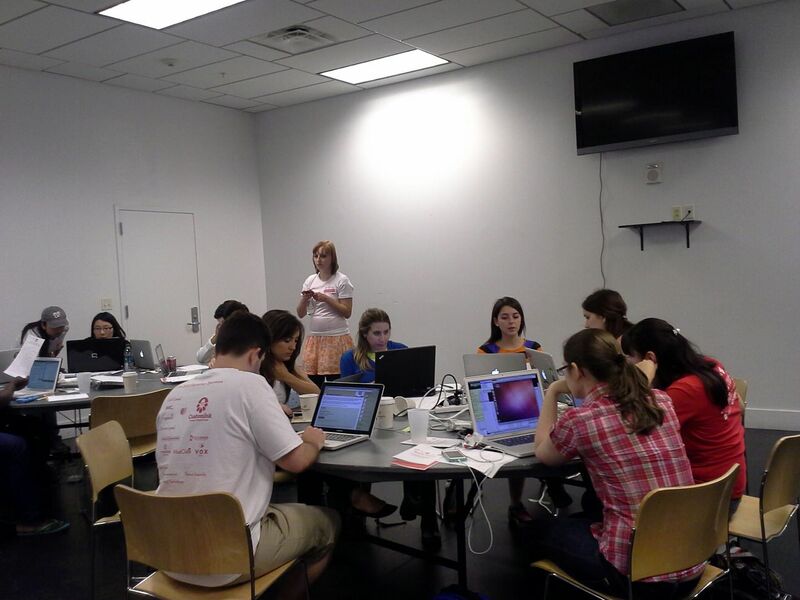 I did, however, stay updated on women’s coding and tech projects, and attended the Women Interactive, a creative technology festival at Spelman College where I learned more about creating mobile applications, games, and webisodes. 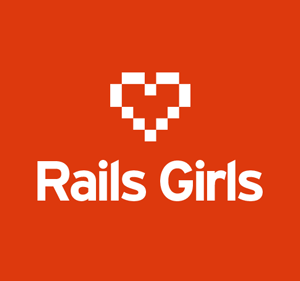 This year, I started subscribing to the RailsGirls DC Twitter account and blog. 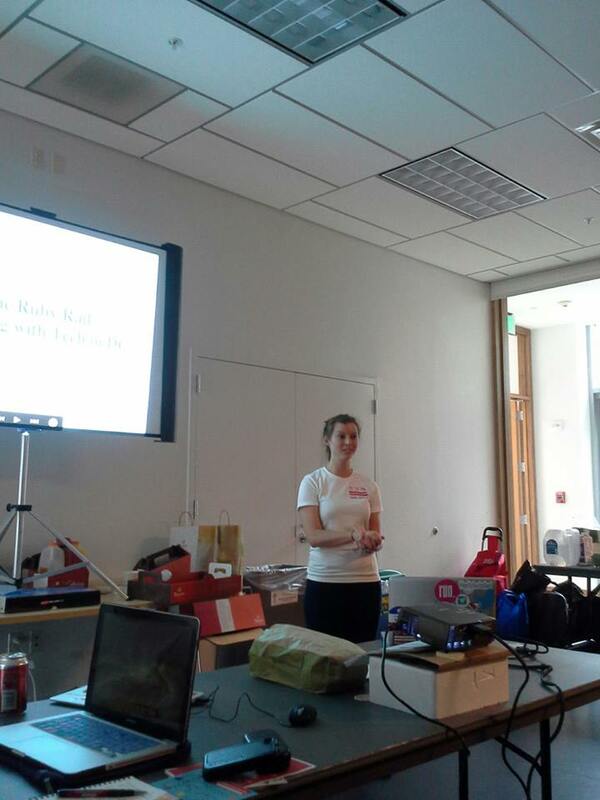 That’s how I learned about the June 13th workshop on how to build apps and other programs with Ruby on Rails. 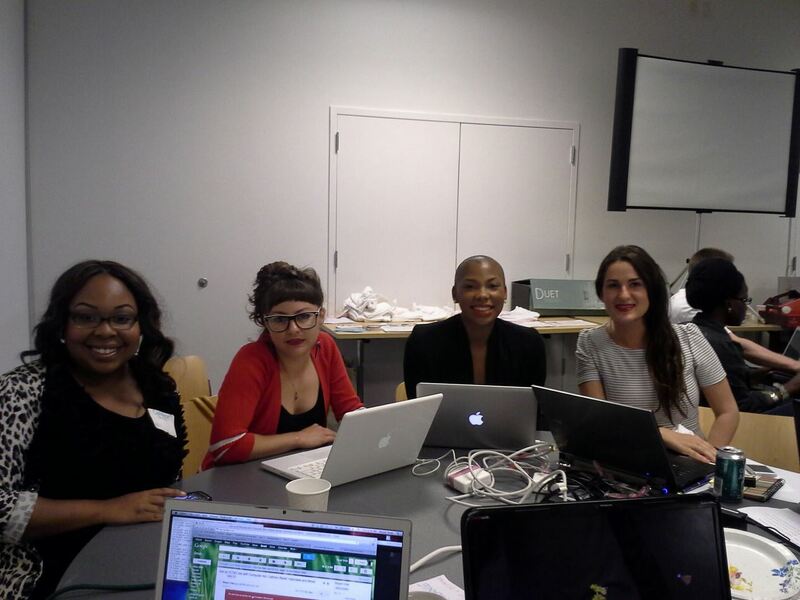 I applied to participate and explained how I wanted to create apps to support the Digital Sisterhood Network. 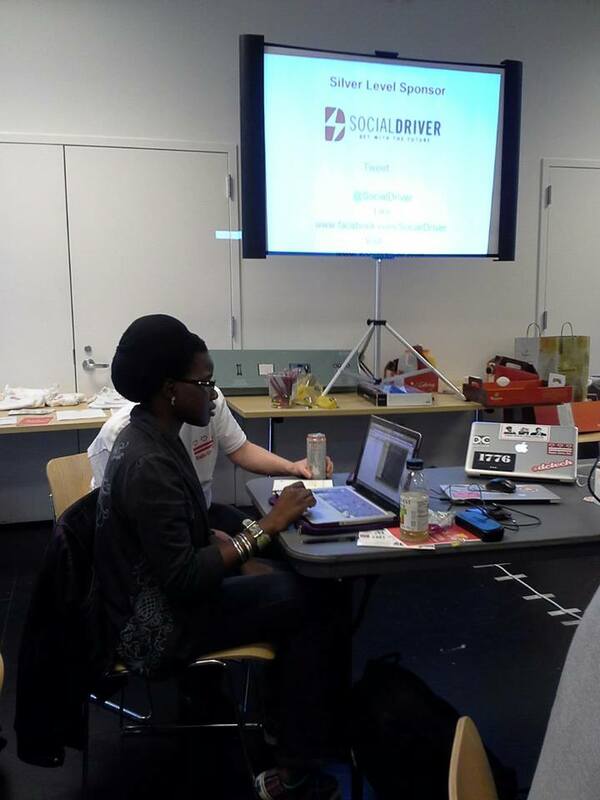 After my application was approved, I made plans to attend the June 10th installation workshop and meet up at Living Social. Nervous is probably the best word to describe how I felt walking into the meet up. 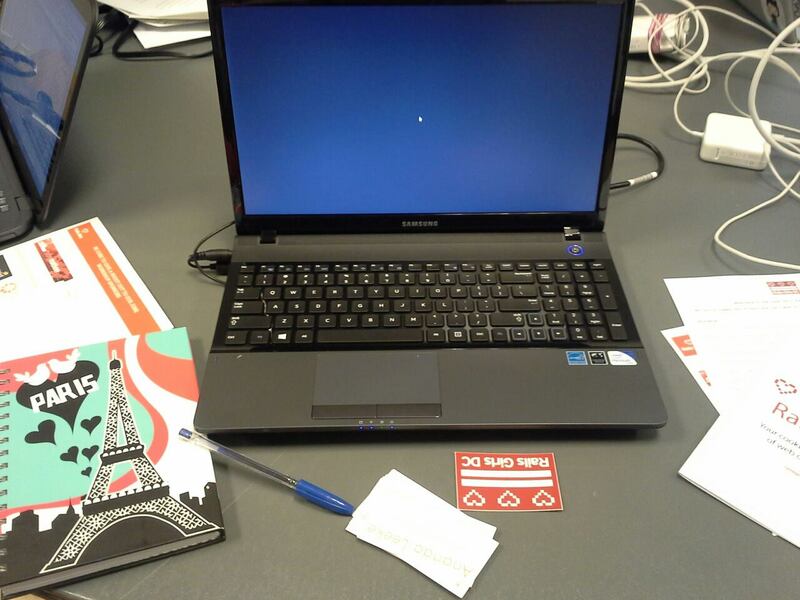 I calmed down a few minutes after I settled into my chair, opened my brand new Samsung laptop, and began chatting with other women who like me were embarking on their very first coding journey. Things got much better when I received one-on-one coaching support from volunteers who work during the day as developers. 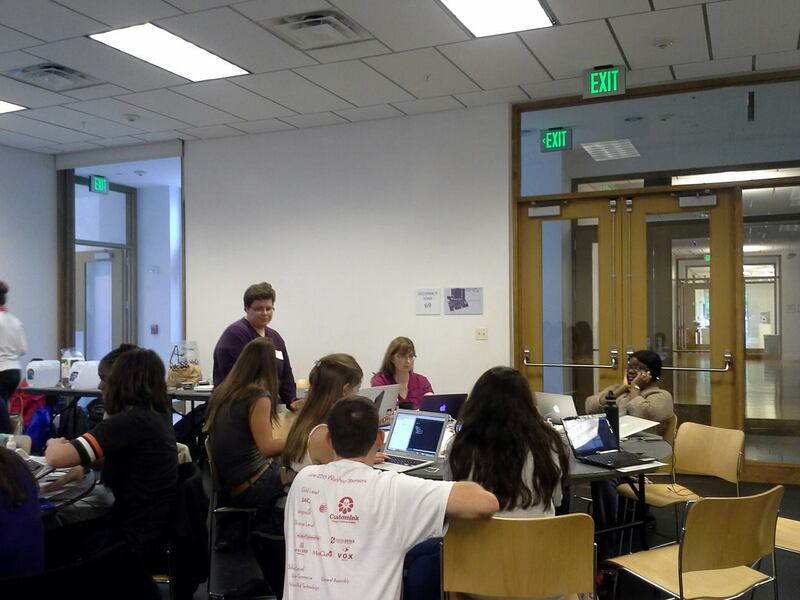 Each person who helped me was friendly, smart, kind, patient, and passionate about helping women learn and understand the world of coding. I left the meet up with more confidence, a better grasp of how to navigate Windows 8 on my new laptop, and a basic understanding of how to access my app on http://localhost:3000, open my terminal and start my app, Heroku.com, and SublimeText.com (the digital space where you can edit code files). 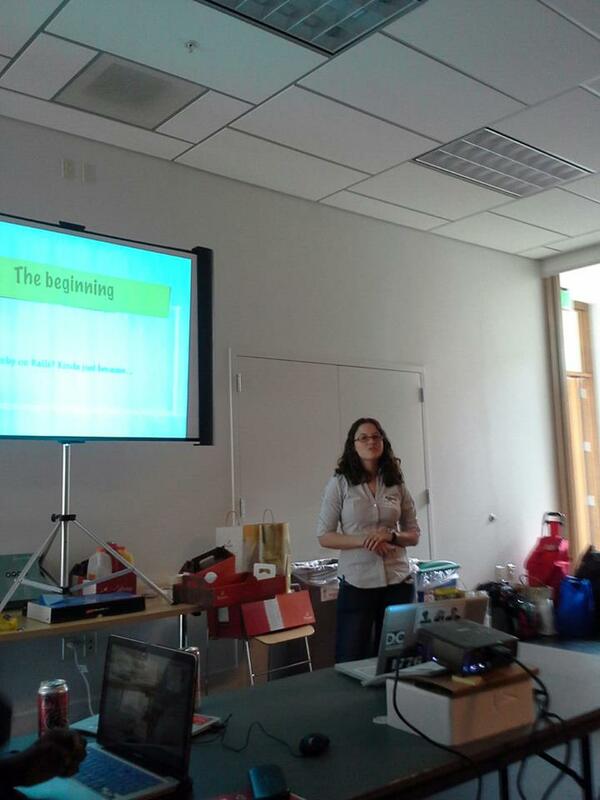 The June 13th workshop began on a positive note. 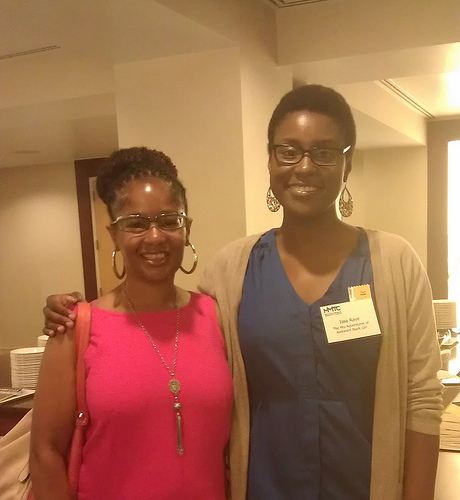 The first person I met was my Sigma Gamma Rho Sorority sister Geraldine Gooding (@STEMWoman). We connected and introduced ourselves as we entered the Silver Spring Civic Center. Our first conversation was about my bright royal blue and yellow Sigma bag. I’m so glad I carried my laptop in it! It turned out to be a great networking tool! When we picked up our registration materials, we learned we were assigned to the same team. I sat down next to Emily Summers, founder of MarketTorque.com. 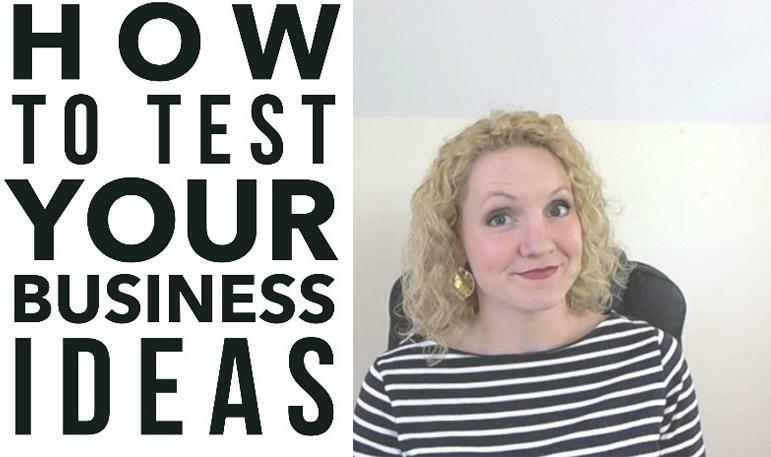 Emily and I chatted about her MarketTorque business and dspire project, and our reasons for attending the workshop. Geraldine sat down next to my yoga digital sister Niyati (@awakenvision). What a reunion! The other ladies at my table were friendly, fun, and filled with passion and positive energy. The best things about working with them were the support we provided to each other and the conversations we had during the coding exercises. 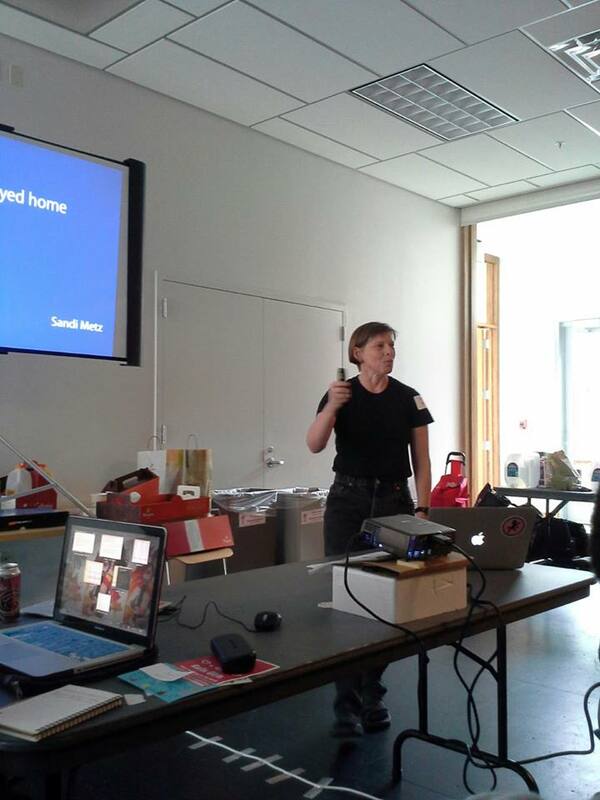 Our group coaches Greg Kenenitz and Melanie Gilman were AMAZING! They really held our hands, encouraged us to figure out challenges, and made sure we learned. 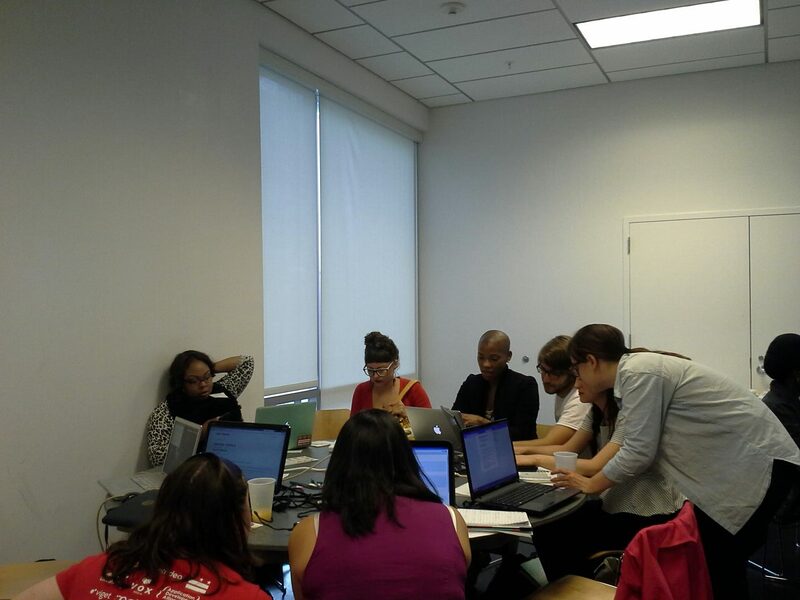 I really liked seeing the diversity among workshop participants (women of African and Asian descent were represented) and how the workshop organizers stayed on track with the agenda. 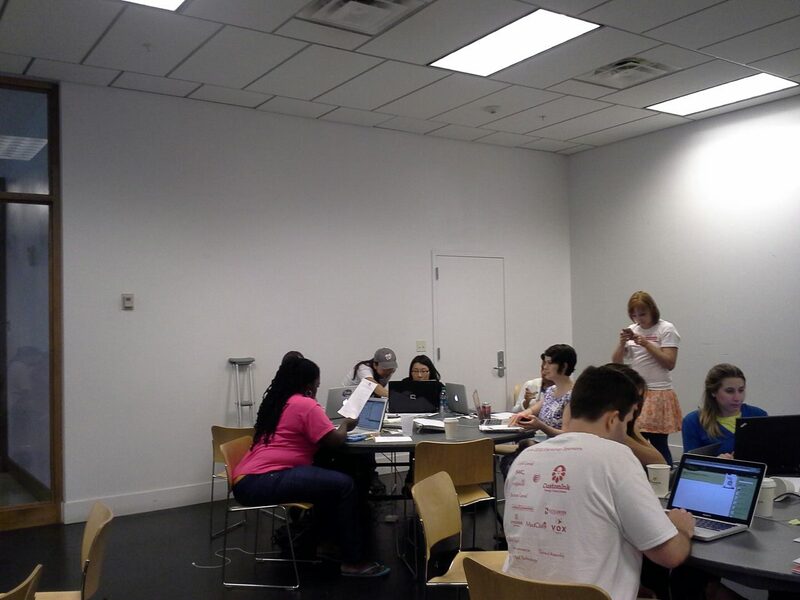 It included a well-balanced mix of short presentations on Terminal, Ruby, and Rails, working sessions that allowed teams to complete coding exercises, question and answer periods with the coaches, lunch period with networking time (healthy vegetarian food included), yummy snacks (chocolate, Jolly Ranchers, and salsa and chips), and lightening talks (ten minute talks) on lean start up methodology, becoming your own chief technology officer, grit/perseverance/achievement, and becoming a developer. 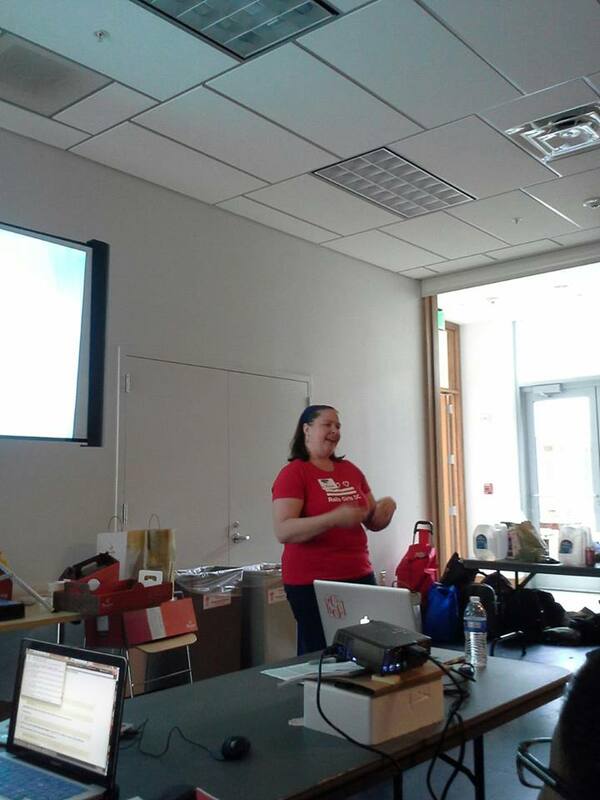 Special shout out to the June workshop organizer Emily Williamson and the sponsors RubyNation, Living Social, Custom Link, SAIC, AT&T, Mod Cloth, Mobile Commons, Social Driver, Vox, Spree, Inferno Red Technology, and General Assembly. 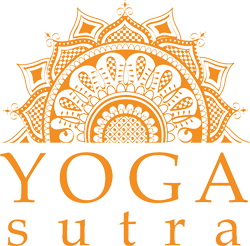 During my yoga teacher training at Flow Yoga Center in 2005 and 2006, I developed a series of yoga classes that emphasized the attributes of Hindu female deities better known as goddesses or archetypes and how they corresponded to the seven chakras (energy centers in the body). See a list of some of my favorites below (the meanings are based on my own interpretation and understanding). Durga is the Hindu warrior goddess of determination, persistence, personal power, and will power who governs the third chakra. Kundalini is the Hindu goddess of inner power who governs the first chakra (the first chakra is the seat of Kundalini energy). Radha is the Hindu goddess of love and governs the fourth chakra. 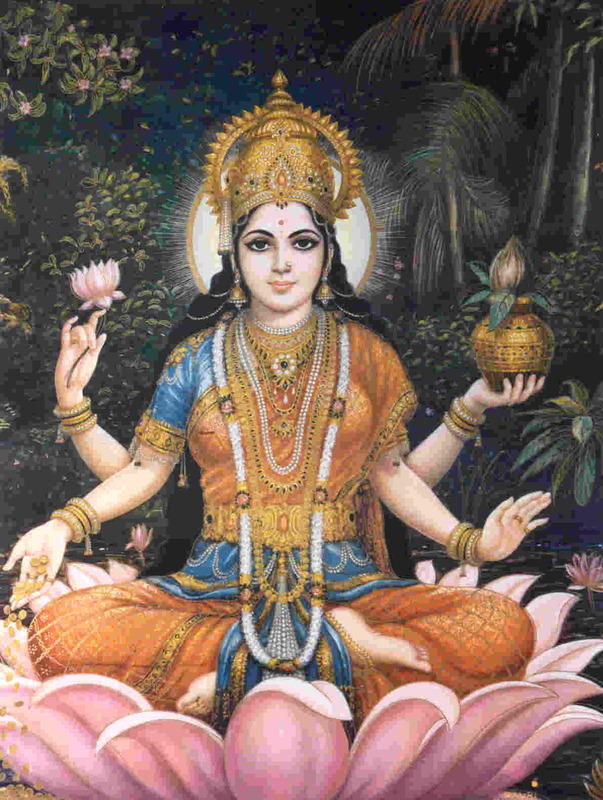 Sarasvati is the Hindu goddess of wisdom who governs the sixth chakra. 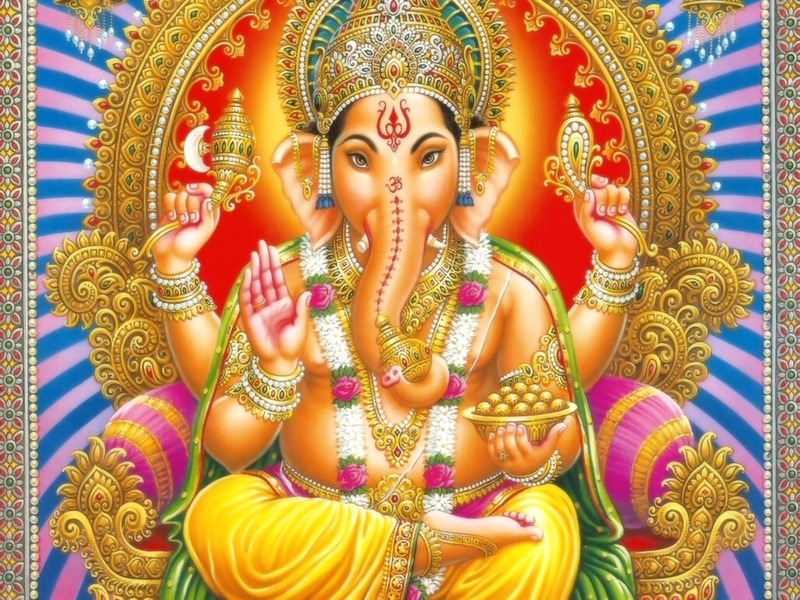 She is also the Hindu Goddess of creativity and the arts who governs the second chakra. 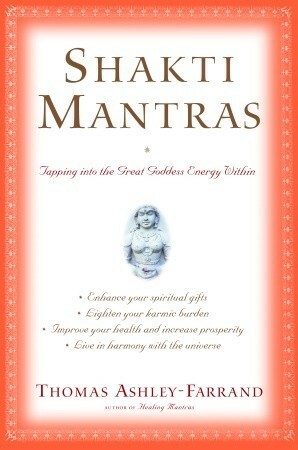 Shakti is the Hindu goddess of divine feminine energy who governs the seventh chakra. Vach is the Hindu goddess of communication and speech who governs the fifth chakra. 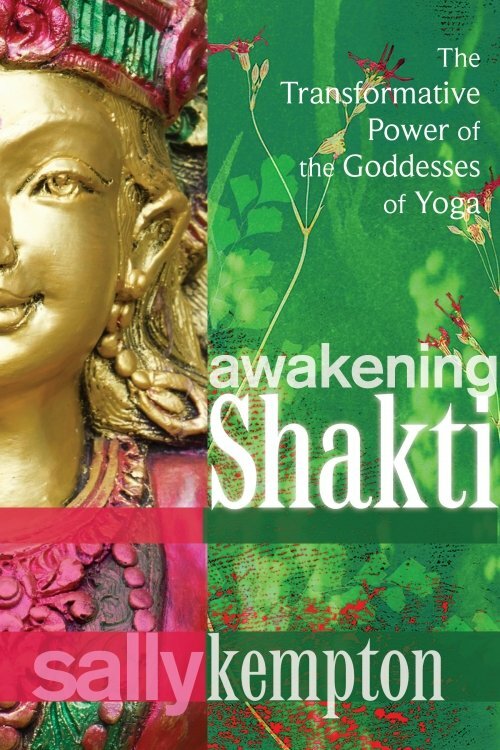 Earlier this year, I learned Sally Kempton, one of my favorite spiritual teachers and Yoga Journal’‘s columnists, had authored Awakening Shakti: The Transformative Power of the Goddesses of Yoga, a book that tells stories, offers meditations, and shares the wisdom of many of my favorite yoga goddesses. 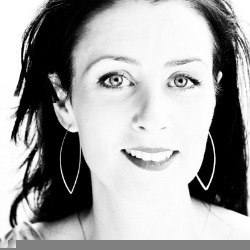 Click here to read a Yoga Journal interview with Kempton about her new book. 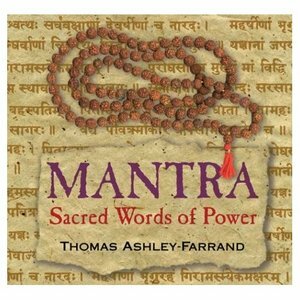 After reading a review of the Awakening Shakti in Yoga Journal, I put it on my Amazon.com list of books to buy. Last month, I purchased it from Amazon.com and decided to add it to my stack of must read summer books (which I will begin reading on June 21, the first of day of summer a/k/a the Summer Solstice). Last week, I glanced through Awakening Shakti to see what juicy wisdom and insights I could expect to receive. Here’s what I found. Kempton shares how the qualities of 11 yoga goddess archetypes can help people deepen their meditation and yoga practice and better understand themselves. She also shares her personal experiences with each yoga goddess archetype. 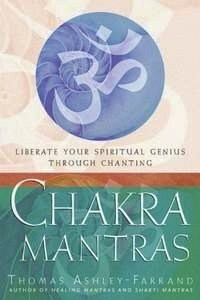 I am excited about exploring each goddess archetype’s meditation exercises, invocation mantras, visualizations, and personal Gayatri mantra. I adore chanting the Gayatri mantra, one of the oldest and most powerful of Sanskrit mantras. It’s one of the first mantras I learned before entering yoga teacher training. Click here to learn more about Awakening Shakti. Be sure to visit sallykempton.com, follow her on Twitter, and LIKE her on Facebook. 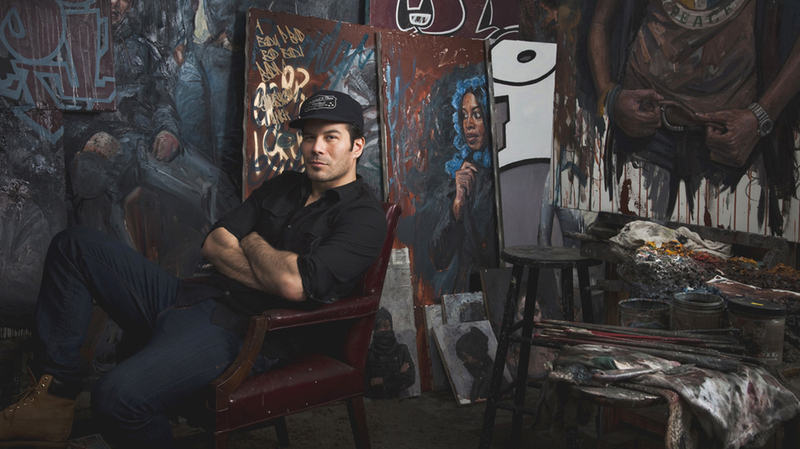 Today, I am celebrating Tim Okamura, a fabulous painter from Edmonton, Canada (one of my favorite places to visit for art and creativity). Tim’s paintings explore identity, popular culture, and the urban environment. He uses collage, spray paint, and mixed media in his work (and I adore collage and mixed media!). 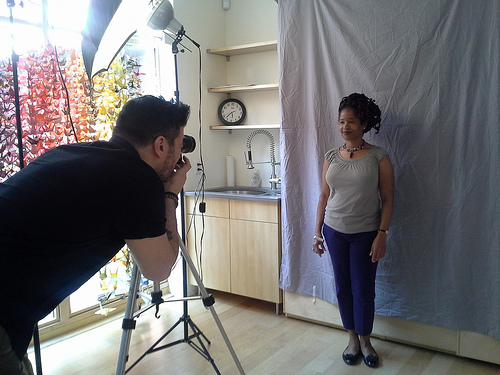 I met Tim on June 9 during his photo shoot for his upcoming “Depicted/Connected” series at the Joan Hisaoka Healing Arts Gallery at Smith Center for Healing and the Arts (the organization I work for as an Artist-in-Residence at Walter Reed National Military Medical Center). 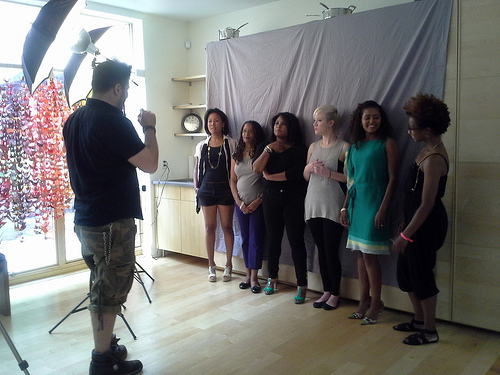 Smith Center invited me and five amazing women to participate in Tim’s photo shoot. The first thing I noticed about him was his easy-going spirit, positive energy, and kind smile. He was able to stay focused and have fun too. 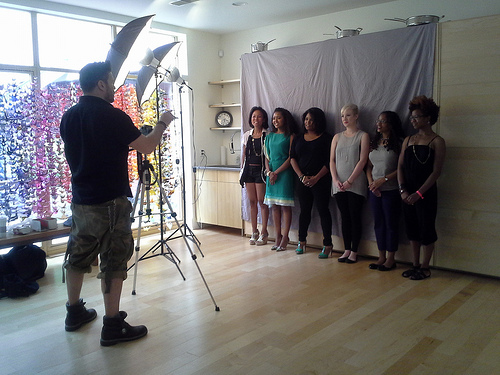 Many thanks to Anthony Palliparambil, Jr., Exhibitions Manager and artist, for organizing the photo shoot and taking photos! After the photo shoot, I went home and Googled Tim to learn more about his work. When I visited his Facebook page and saw his painting, “Les Nubians Combat Pour L’Amour” and “Courage 3.0,” I became an instant fan. By the way, Les Nubians are one of my favorite Afropean neosoul singing duos (they make several appearances in my Love’s Troubadours novel). I also listened to his 2011 interview on NPR’s Tell Me More with journalist Michel Martin. During the interview, he discussed his passion for hip hop, his hip hop radio show in Canada, and his “Bronx Brooklyn Queens” series of paintings that feature African-American women of New York City. I Googled the series and fell in love with each painting. What a powerful body of work! He earned a B.F.A. with Distinction at the Alberta College of Art and Design in Calgary, Canada before moving to New York City to attend the School of Visual Arts in 1991. After graduating with an M.F.A. in 1993, he relocated to Brooklyn, New York, where he continues to live and work. His artwork has been exhibited in the National Portrait Gallery in London, England; galleries throughout the U.S. and Canada; and he was short-listed by the Royal Surveyor of the Queen’s Picture Collection for a commissioned portrait of the Queen of England. His work is included in the permanent collection of the Toronto Congress Center, Standard Chartered Bank, and the Davis Museum in Massachusetts, as well as the private collections of celebrity clients such as John Mellencamp, Uma Thurman, and Ahmir “Questlove” Thompson. He is represented by Lyons Wier Gallery in New York, and Douglas Udell Gallery in Canada. To learn more about Tim and his work, LIKE him on Facebook and follow him on Twitter. The women I meet online are some of the most brilliant, creative, entrepreneurial, and generous people in the universe. Alli Worthington is one of these women. Alli is the founder of Blissfully Domestic, a women’s e-zine, that helped spark the creativity she used to launch and co-found BlissDom and BlissDom Canada with Barbara Jones, CEO/Founder of Blissful Media Group and One2One Network in 2008. 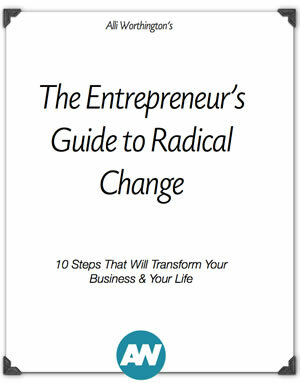 She is also a business consultant, coach, speaker, and strategist who has worked with and advised Fortune 500 companies and small businesses, from tech companies to your favorite household brands. 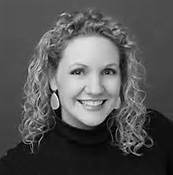 I first discovered her online presence and BlissDom during a conversation I had with women bloggers at the BlogHer conference in 2009. 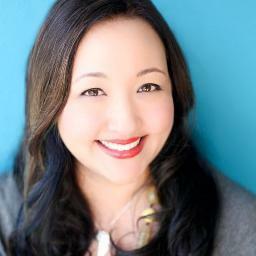 After the conference, I started following her on Twitter and reading about BlissDom. Her tweets introduced me to her brilliance, community building efforts, creativity, entrepreneurial spirit, and generosity. 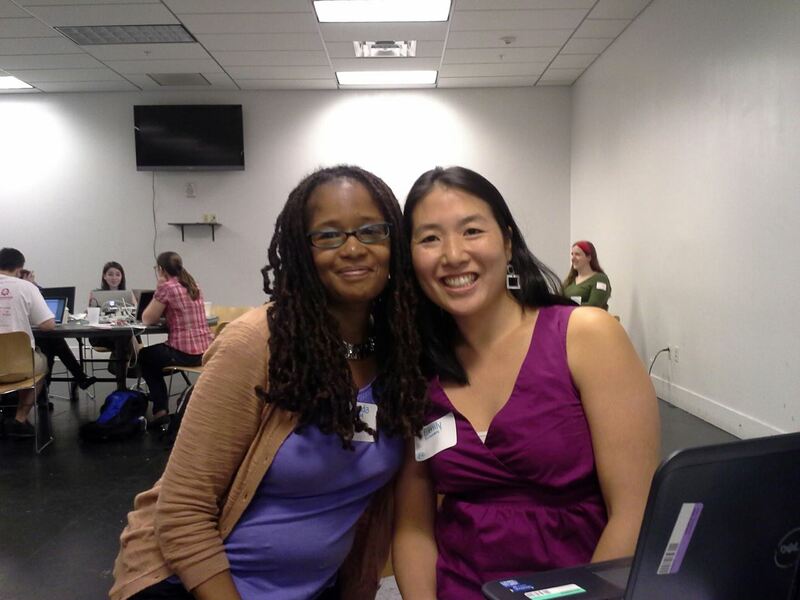 She quickly became one of my digital sister diva sheroes. I met Alli in person while attending and speaking at the BlissDom 2012 Conference in Nashville, Tennessee. Her positive energy and spirit were the first things I noticed and felt. She was in fact blissful from the inside out. Her commitment to sharing the best ideas, information, and inspiration with the BlissDom community was readily apparent. Recently, Alli relaunched her web site AlliWorthington.com and changed the focus of her business so that it helps individuals realize they have what it takes to build their own business. Through her web site, she is offering several resources (see below). I am a huge fan of these resources. 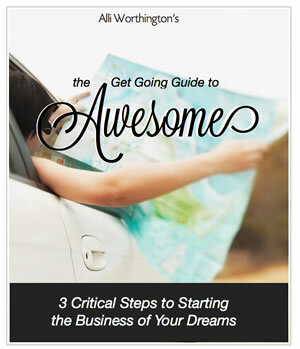 The articles and VIP Newsletter rock my world with information, insights, and inspiration. My favorites articles are listed below. Should I Follow My Passion and Hope the Money Will Come? I plan to read Alli’s three books this summer in preparation for the BlogHer Conference in July, Blogalicious Weekend Conference in October, and the launch of my book, Digital Sisterhood: A Memoir of Fierce Living Online later this year. A few last things… Be sure to follow Alli on Twitter. LIKE her on Facebook. See what’s she is pinning on Pinterest and posting on Instagram. Ahimsa – nonjudgment and kindness towards yourself and others. 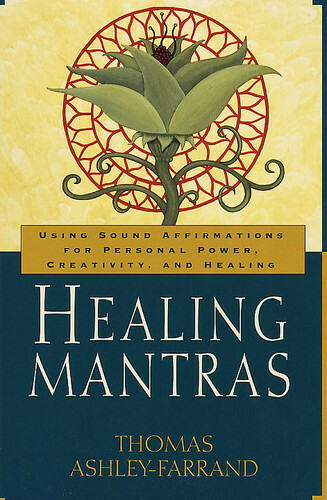 Satya – truthfulness in how you feel and what you think, say, and do. Asteya – believing and practicing abundance and not stealing. Brahmacharya – using our spiritual, emotional, physical, and sexual energy wisely. Aparigraha – accepting and being content with who we are and what we have and not practicing jealousy. Click here to read a Yoga Journal about the Yamas. 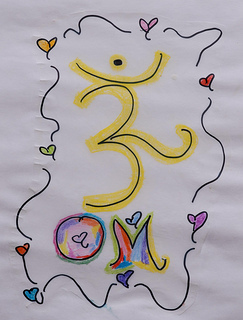 This month, I am focusing on Ahimsa. What is your favorite Yama? Growing up in the Washington, D.C. metropolitan area afforded me many opportunities to visit and fall in love with the Smithsonian Museums. 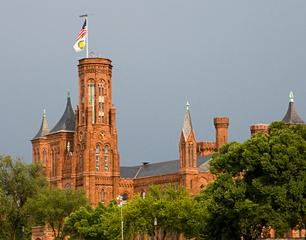 My love affair with the Smithsonian and other museums was nurtured by my mother and the nuns who taught me art history and appreciation at St. Elizabeth Seton High School. By the time I moved into my first D.C. apartment and started Howard University School of Law, the Smithsonian’s Freer Gallery of Art and the Arthur M. Sackler Gallery had become two of my favorite places to hang out and learn about Asian art. Over the years, I have attended numerous exhibitions, film screenings, and dance performances. Some of my favorites have included Buddhist art, Japanese art of the Edo period, Hokusai’s paintings, and the art of Mughal, India. Last year, the Sackler Gallery celebrated its 25th anniversary with an evening gala of art, fine Asian-inspired cuisine, and a performance by celebrated violinist Hahn-Bin. This week, I learned about the Smithsonian’s Yoga: The Art of Transformation, the world’s first exhibition of yogic art that is being crowdfunded. The Smithsonian launched its crowdfunding campaign on May 29 (will end on July 1) with a funding goal of $125,000. 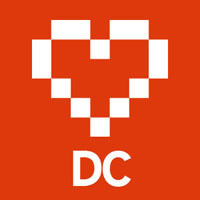 To date, the campaign has raised $12,800. The purpose of the campaign is to raise money to create videos, publications, and pamphlets; print catalogs, offer yoga classes during the exhibition, and more. After reading about the exhibition and watching the crowdfunding campaign video on YouTube, the yoga teacher, artist, and Internet geek inside of me became excited and inspired to make a donation. Why? 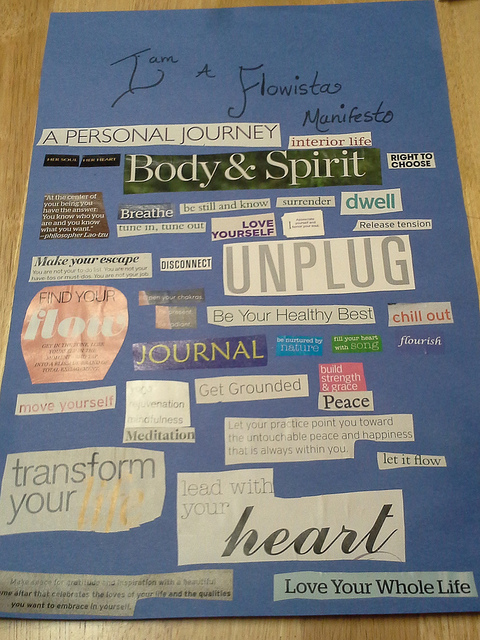 Three of my passions have come together in one project I can support: yoga, creativity, and the Internet. Click here to make a contribution. Crowdfunding is a web-based financial model that allows individuals to network and pool their money in community to support projects and ventures initiated by other people and organizations. gofundme, indiegogo, and Kickstarter are three of the most popular reward-based crowdfunding platforms. 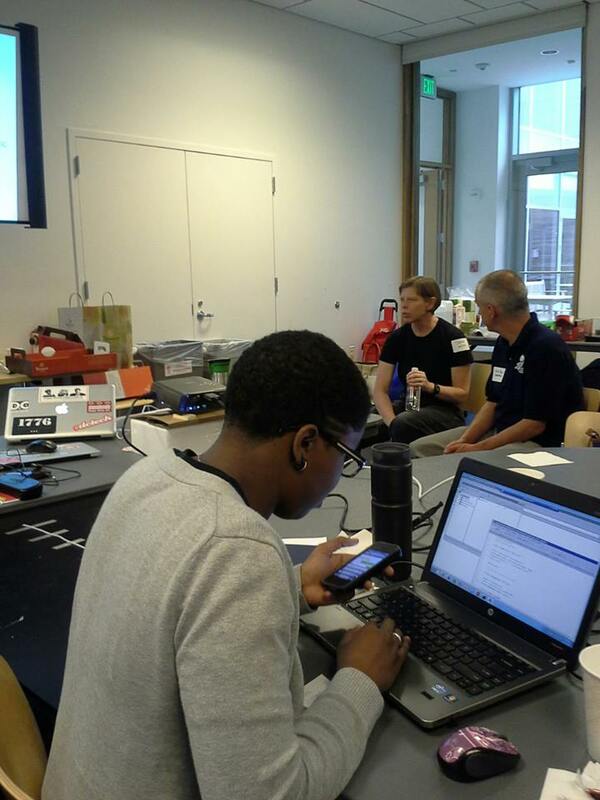 The Smithsonian is using Razoo, a crowdfunding platform for nonprofit organizations. To learn more about crowdfunding, click here to see my Crowdfunding Pinterest board of resources.